DUBAI, United Arab Emirates — New security screenings for all passengers on U.S.-bound flights began on Thursday, with airlines worldwide questioning flyers about their trip and their luggage in the latest Trump administration decision affecting global travel. Both American and global airlines must comply, affecting all of the 2,100 flights from around the world that enter the U.S. on any given day. The directive is far broader than an earlier Trump administration ban on laptops inside the cabins of some airliners, which only targeted 10 Mideast cities and their airlines. The new rules were met with some confusion. While five global long-haul carriers said they would begin the security interviews on Thursday, each offered different descriptions of how the procedure would take place, ranging from a form travelers would be required to fill out to being verbally quizzed by an airline employee. Other carriers insisted their operations remained the same, while some airlines said they had received permission to delay implementing the new rules until January. At Dubai International Airport, the world’s busiest for international travel, long-haul carrier Emirates began questioning passengers about their luggage, liquids they were carrying and where they were coming from. 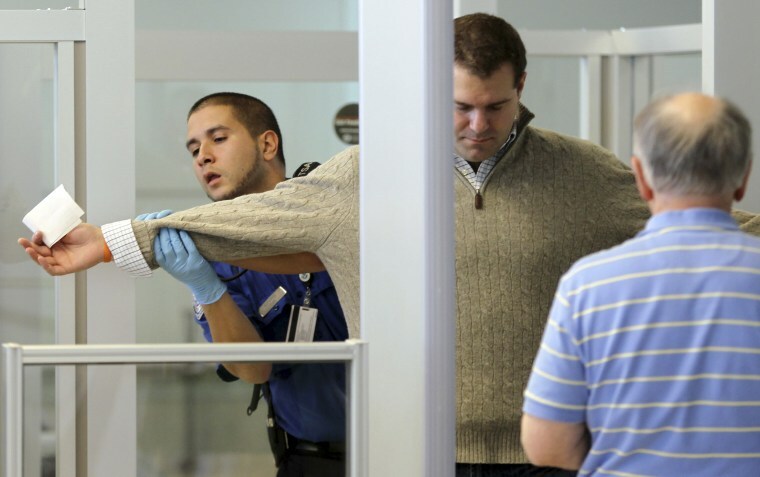 Passengers also had to have their carry-on bags searched, along with their electronics. It urged those flying through Dubai International Airport to allow extra time for flight check-in and boarding. U.S. carriers also will be affected by the new rules. Delta Air Lines said it was telling passengers traveling to the U.S. to arrive at the airport at least three hours before their flight and allow extra time to get through security. Other carriers who announced the new regulations on Wednesday included Air France, Hong Kong-based Cathay Pacific Airways Ltd., the airlines of Germany’s Lufthansa Group and EgyptAir. In Hong Kong, passengers described some of the questions they were asked. “They asked me if I packed my own bag, where I packed it from, where I came from, they looked at my itinerary, verify where I was, who I was, from where I came from,” said Fran Young, who was travelling to Los Angeles. "The safety and security of passengers and crew is the highest priority for U.S. airlines, and we remain committed to ensuring the highest levels of security are in place throughout the industry," Jennings said.